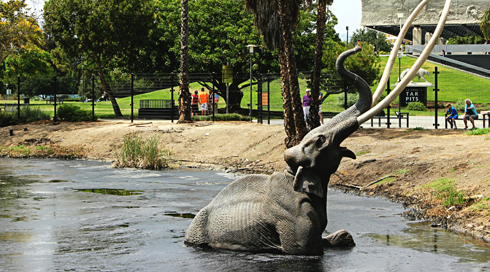 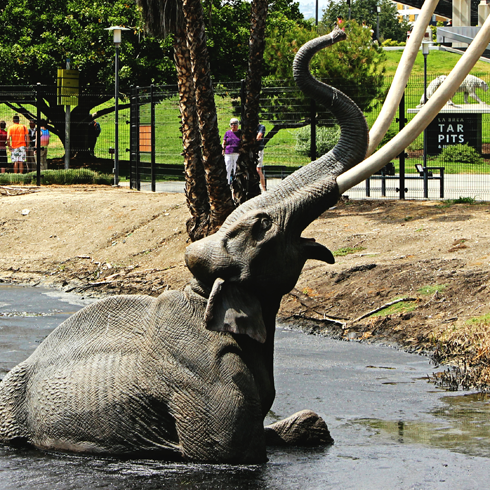 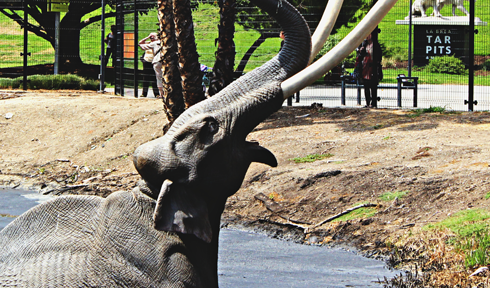 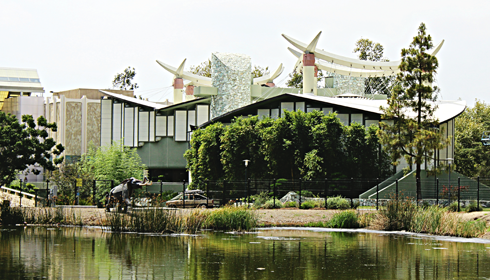 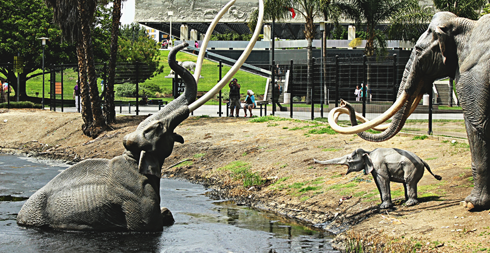 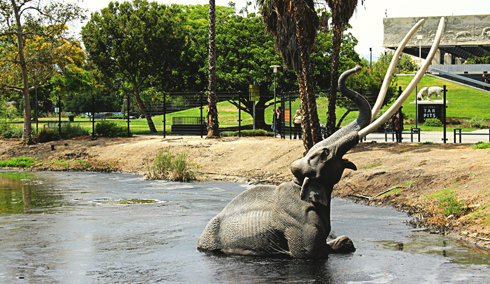 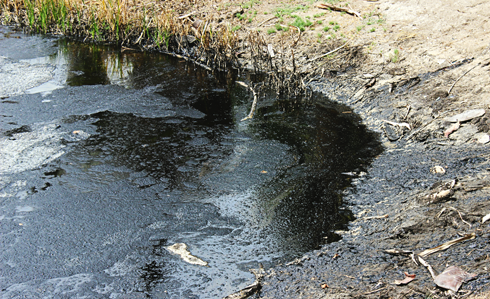 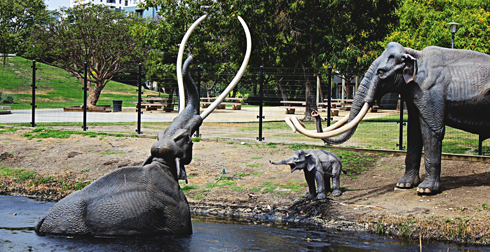 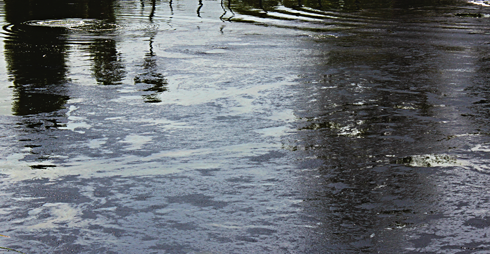 Located in Hancock Park in Los Angeles, California, the La Brea Tar Pits are a National Natural Landmark. 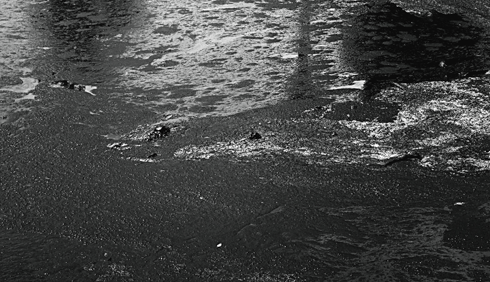 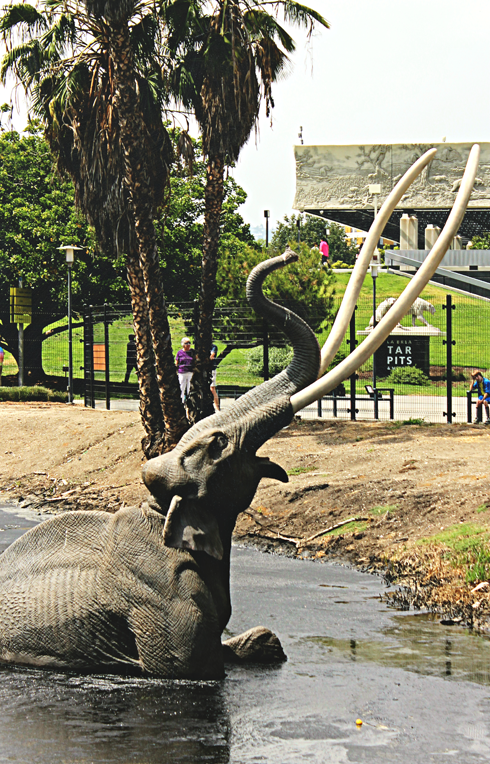 Made popular by the preserved bones found in the tar, today the La Brea Tar Pits are a tourist attraction served by the George C. Page Museum, part of the Natural History Museum of Los Angeles County. 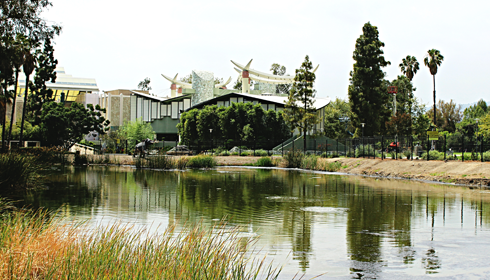 I briefly toured the park and shot these pictures.